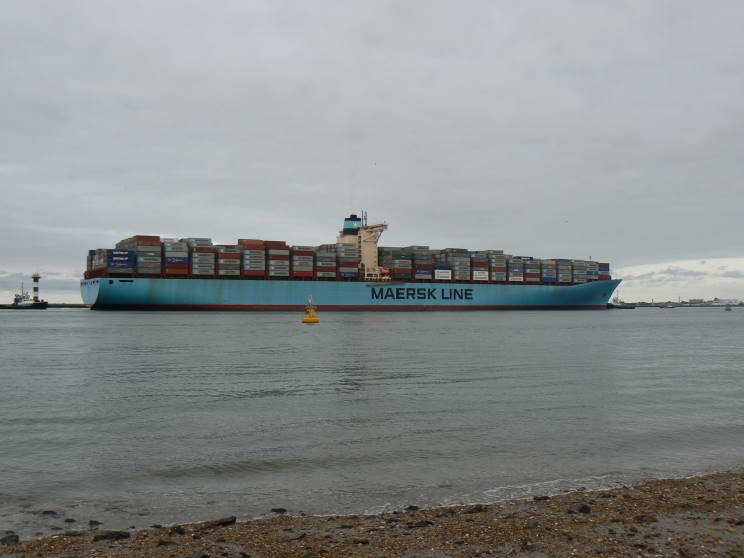 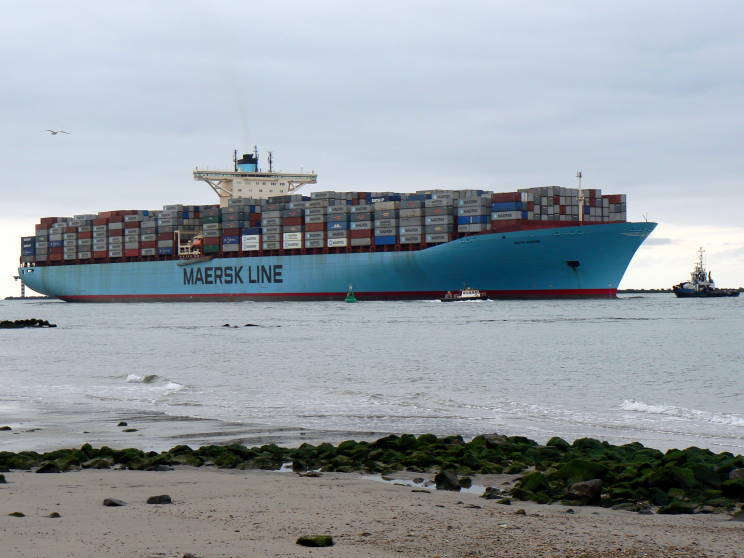 August 12, 2011: Edith Maersk seen arriving at Maasvlakte (Europort), Rotterdam, Netherlands. 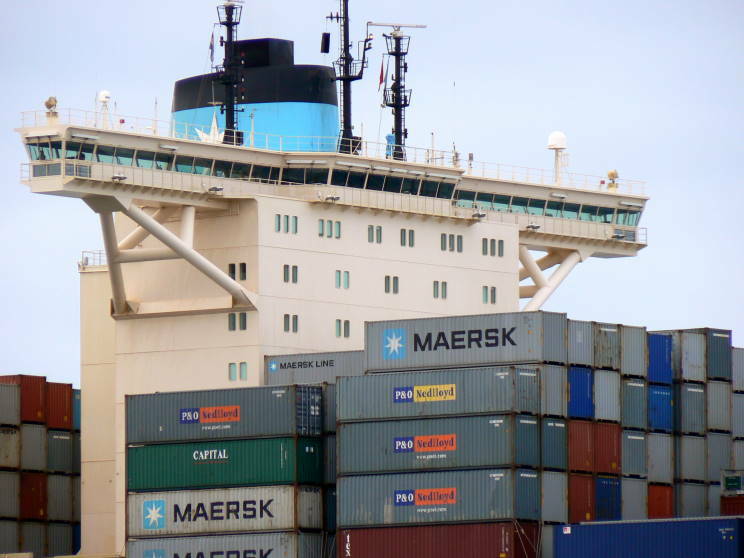 August 12, 2011: Close-up of the superstructure of Edith Maersk. 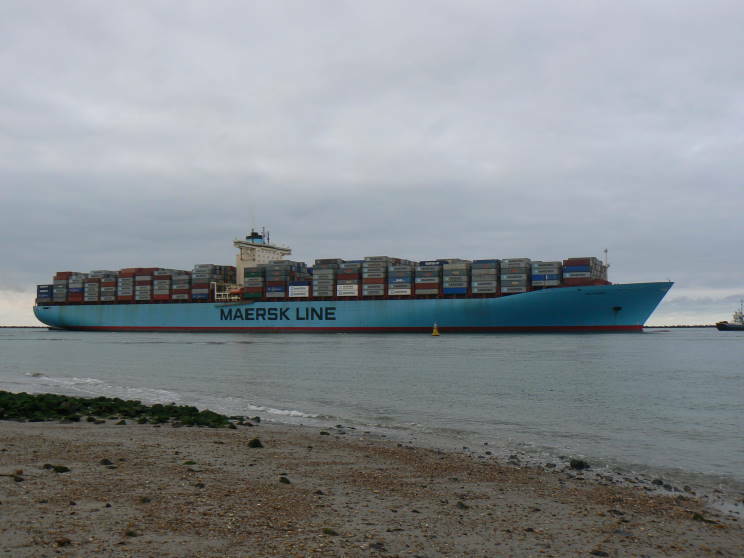 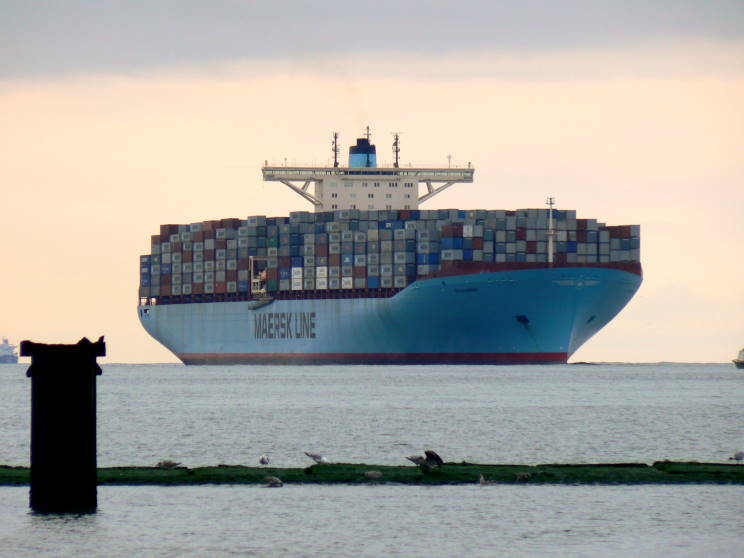 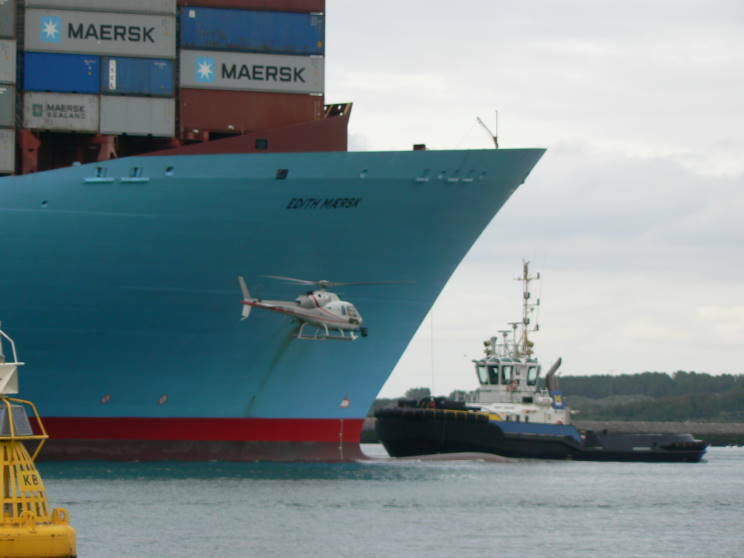 August 12, 2011: A helicopter dwarfed by the 1,003' (396.4m) long, 170,794 gross ton Edith Maersk.